For 25 cents, tampons are now available for purchase in the girls’ bathrooms at SHS. 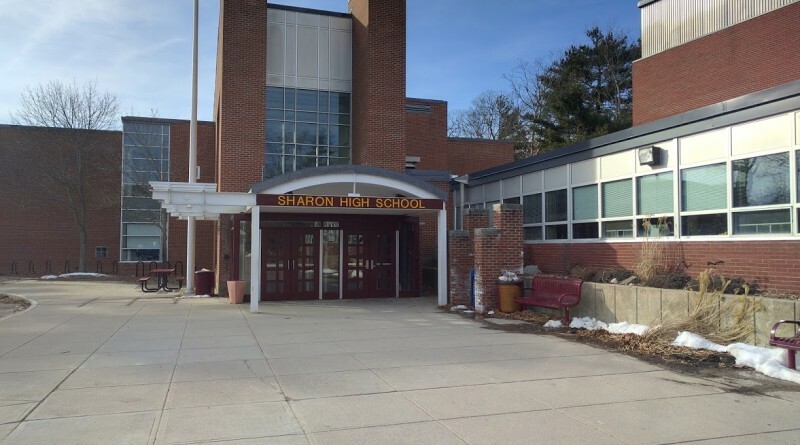 After receiving input from two Sharon High students, Sydney Mayo and Emma Safran, Dr. Libano agreed to install tampon dispenser machines in the girls’ restrooms. Safran and Mayo proposed that putting tampons in the girls’ bathrooms would provide a “discreet and time-efficient way” for girls to prevent their periods from disrupting their class time. “The current system of having to go to the nurse for a tampon is both embarrassing and a waste of time that would be better spent learning,” Mayo and Safran said said. They said that they believe all women should be able to easily access emergency feminine hygiene products. “For example, online retailer Alibaba sells pads for as little as 2 cents each and tampons for one cent,” said the two. “The dispensers, which may or may not be necessary, are $290 each, but it is a one time cost,” they added. Prior to Libano agreeing to install machines in SHS bathrooms, Safran and Mayo said their plan would involve the school buying feminine hygiene products in larger quantities than it currently does, but it would make the products “more affordable” by lowering the cost of each pad or tampon. The 25 cent charge will be used to pay for tampons and pads to send to women in developing countries who cannot afford them. “Society has made periods into an awkward issue, but something that affects 50% of the world’s population shouldn’t be,” said the two. “Putting tampons in the bathroom will help normalize this, and every woman can benefit from this. Something that is so natural and unavoidable should not be used to shame or ostracize the affected individual,” they added. Libano says that he thinks the machines will resolve an issue that students raised. “Office and public restrooms usually have similar dispensers, so I think it also makes sense for a large facility like ours to have them. They’re a resource for emergency circumstances and to avoid unnecessary embarrassment,” he said. “They’re not intended to be a replacement for normal, self-care practices. I’ve heard that people don’t carry change, but since we’re talking about emergencies, it’s best to be prepared and students might want to consider putting a quarter or two in their wallets or book bags,” added Libano. One senior says that although she usually comes prepared to school with tampons and pads in case of an emergency, she appreciates SHS’s attempt to avoid an unnecessary and embarrassing trip to the nurse. “It’s good knowing that if an emergency came up, and I didn’t have a tampon on me, I could just use the machines in the bathroom to purchase one rather than having to go to the nurse,” she said. “Since there is always a chance of forgetting to bring products with me to school, I’ll definitely start carrying change just in case an emergency comes up,” she added.